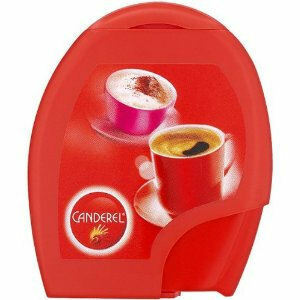 Canderel is a natural low calorie sweetener which comes in two varieties, Original and Green - which uses Stevia, a plant from South America that has been used for thousands of years to sweeten food. It is the perfect alternative to sugar in the office for people who want a bit of sweetness but don't want the associated calories. 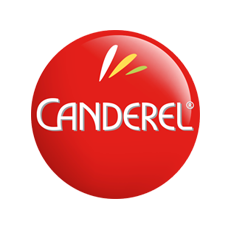 Canderel is available at Zepbrook in sticks, sachets and tablet poppers. Get your Canderel sweeteners from Zepbrook tomorrow: order before 5pm if you're in London (or the M25 area). Do you need sugar substitutes that are not currently listed on our website? Contact us - we can source and deliver many other products for a competitive price. Call us now on 020 8752 0110 or enquire online. 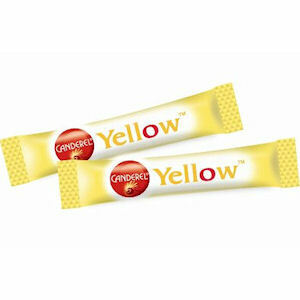 Canderel Yellow is a great tasting low calorie sweetener made with sucralose. Each Canderel Yellow tablet (which is contained in it own sachet) is equivalent in sweetness to one teaspoon of sugar but contains zero calories. 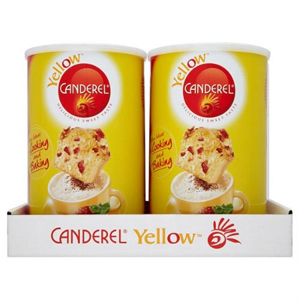 Canderel Yellow is a great tasting low calorie sweetener made with sucralose. 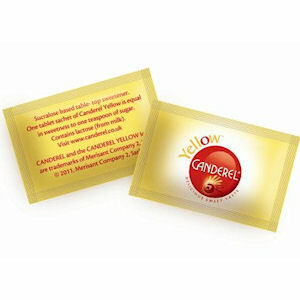 Each sachet contains enough granular Canderel Yellow so as to be the equivalent in sweetness of one teaspoon of sugar, but contains zero calories. 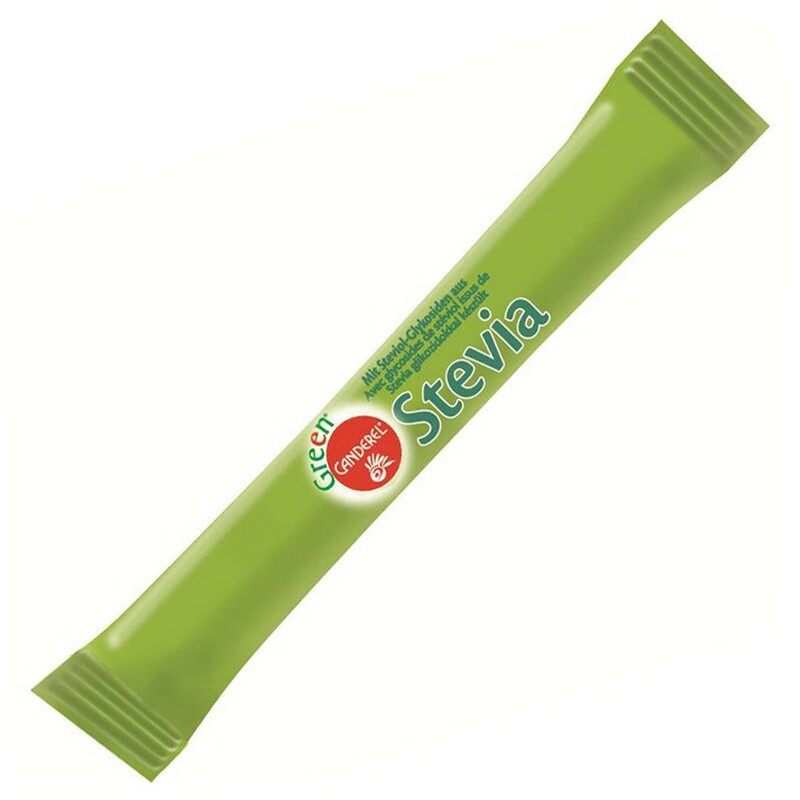 Canderel with Stevia Sticks are specially formulated with the sweetest extracts found in the Stevia plant, steviol glycosides, which are more than 200 times sweeter than sugar. 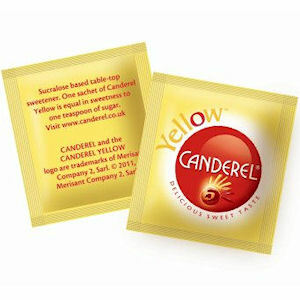 Canderel Yellow is a great tasting low calorie sweetener made with sucralose. Each stick contains enough granular Canderel Yellow as to be the equivalent in sweetness of one teaspoon of sugar, but contains zero calories.